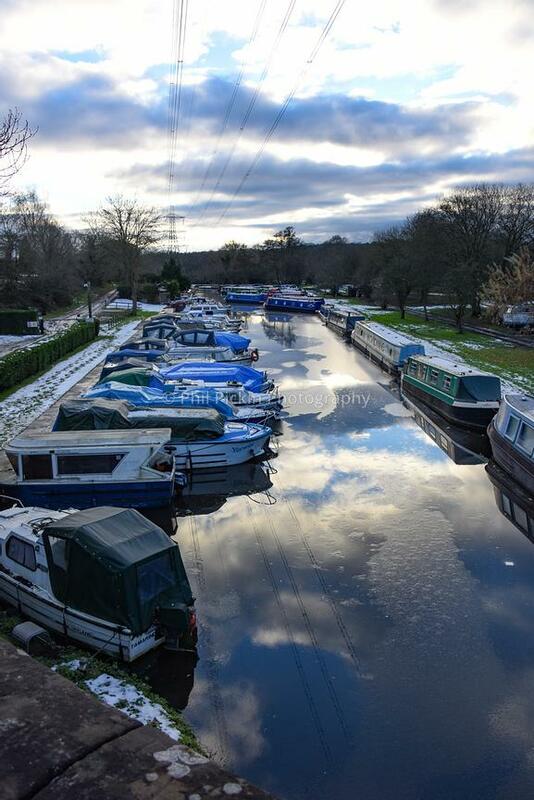 Phil Pickin: Photographer & Journalist | Boats on the frozen waters near Ashwood Marina, Kingswinford. Boats on the frozen waters near Ashwood Marina, Kingswinford. View from a bridge overlooking the frozen waterway adjacent to Ashwood Marina Nr Kingswinford.